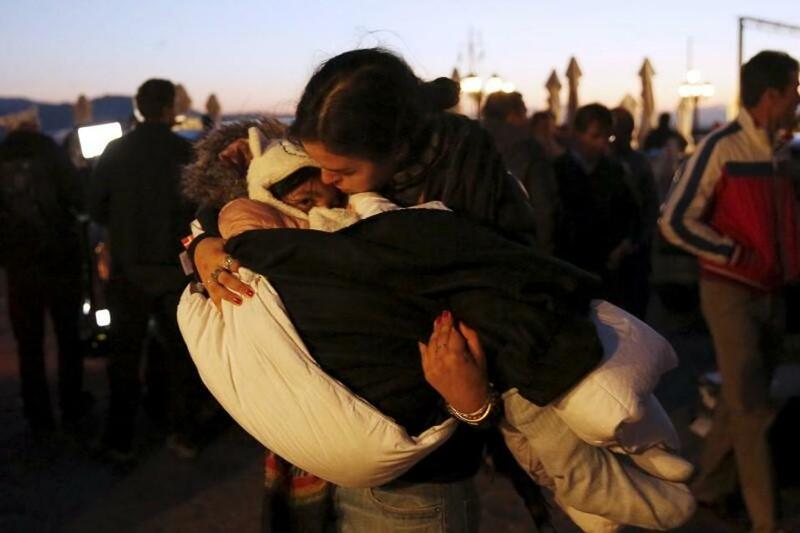 The Greek coastguard rescued 242 migrants when their wooden boat sank north of the island of Lesbos on Wednesday, but at least three drowned, including two small boys, authorities said. "We do not have a picture of how many people may be missing yet," a coastguard spokeswoman said. A man and the two boys were found drowned and an extensive search was under way in the area after what was thought to be the largest maritime disaster off Greece in terms of numbers involved since a massive refugee influx began this year. More than 500,000 refugees and migrants have entered Greece through its outlying islands since January, transiting on to central and northern Europe in what has become the biggest humanitarian crisis on the continent in decades. "These praiseworthy attempts of the coastguard to save refugees at sea is at risk of now turning into a constant operation of locating and collecting drowned refugees," Greek shipping minister Thodoris Dritsas said. Lesbos, which lies less than 10 kilometres from the Turkish coast in the north Aegean Sea, has been a primary gateway for thousands of migrants entering the European Union's outermost border. "What we don't need in the wake of this tragedy is another 'extraordinary' meeting that leads to a dead end. What would be truly out of the ordinary - but completely necessary - is real and concerted action," said Gauri van Gulik, Amnesty International's deputy director for Europe.